Asus ROG wants to gift one of their fans with brand new gaming graphics card! 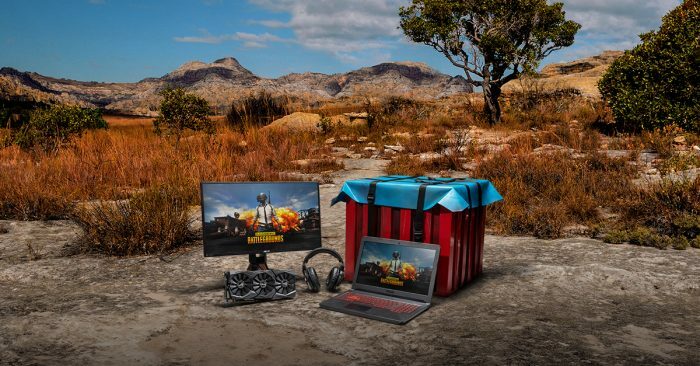 To enter in their latest ROG Strix GTX 1070 Ti Graphics Card and PUBG Loot Giveaway grab your free entries by following few simple steps listed down below! Powered by NVIDIA Pascal, the ROG Strix GTX 1070 Ti delivers raw power unleashed featuring a 1759 MHz boost clock. MaxContact technology delivers increased cooling efficiency while Auto-extreme manufacturing with aerospace-grade Super Alloy II components ensures premium quality and reliability. Let your game shine with ASUS Aura Sync RGB lighting. Prize winners shall inform ASUS of their contact information within two weeks after contest end date (July 31, 2018).